One of our favorite local nurseries, Painter’s Greenhouse, is having their annual Herb Festival during the weekend of April 10-11, 2010. This is the sixth year for the festival, which will feature fresh grown herbs, plus entertainment by craftsmen, cooks and musicians. We’ve gotten so many fantastic plants from Painter’s Greenhouse, located about 20 minutes southeast of the Inn on Mill Creek in Old Fort, NC. When we get word each year that they’re opening for the season, it just puts a smile on our faces. 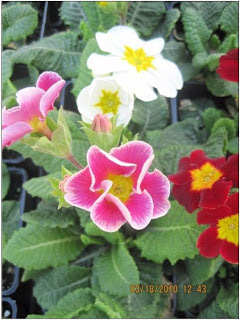 From early Spring blossoms like the gorgeous one shown above (from Painter’s Facebook page) to succulents, perennials, annuals, water plants, vegetables and herbs, they definitely have something for everyone’s outdoor space. Painter’s Greenhouse is open each week from Wednesday through Sunday (9am-4pm). They feature special sales periodically throughout their season, which runs through June. Check them out at www.paintersgreenhouse.com. And if you see Brigette browsing the aisles, feel free to give her some suggestions on what plants to buy for the Inn! This entry was posted in Uncategorized and tagged festivals and special events, flora and fauna, Old Fort / Andrews Geyser by Inn on Mill Creek. Bookmark the permalink.